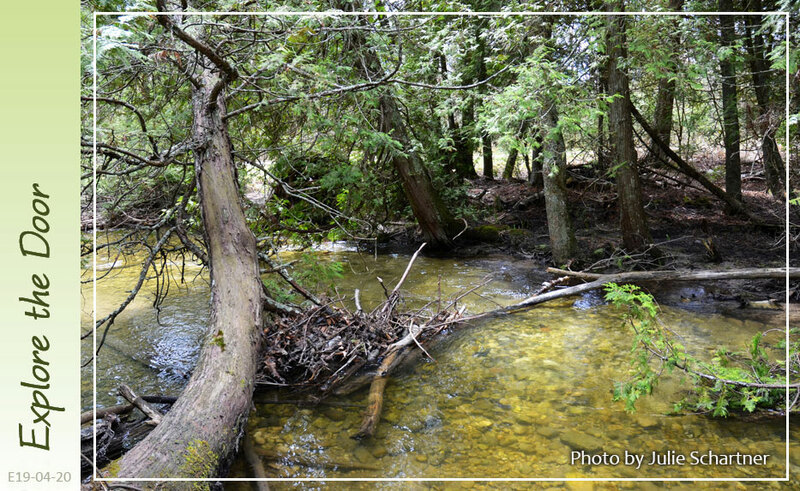 Join us for a special Earth Day hike at the Door County Land Trust’s Heins Creek Nature Preserve and discover the stories in the sand. Have you ever wondered how these sand dunes got here and what formed the unique bedrock underlying this peninsula? Learn about the Native Americans and early settlers who once lived in these dunes. Explore the preserve’s boreal forests and the unique microclimate found along the lakeshore that allows northern species to thrive this far south. Imagine how Door County’s forests might change if climate models become reality and northeast Wisconsin’s temperature in 2050 becomes as warm as Arkansas is today. This 1-mile hike will be relatively easy to traverse. Wear good hiking shoes, as we may encounter a few sandy and muddy sections along the trail.